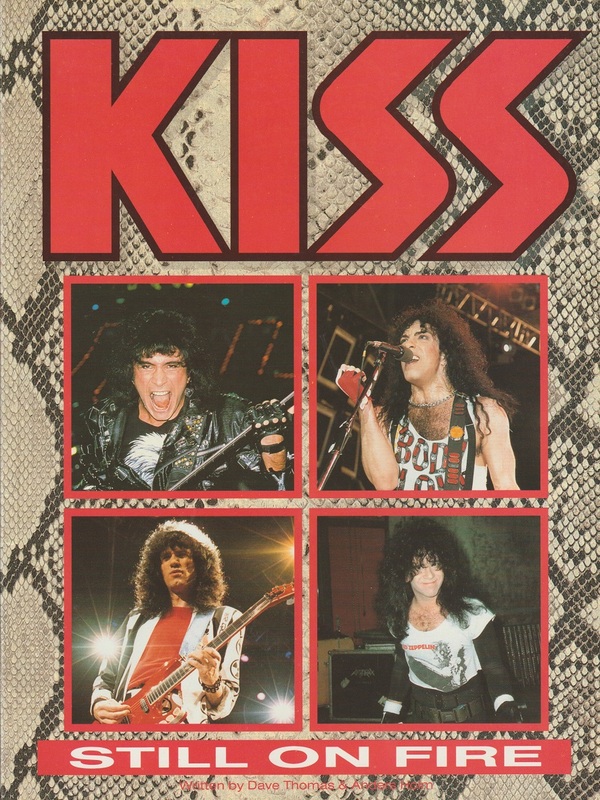 The KISS RE-REVIEW SERIES Part 41: Eric Carr solo #1. It’s back and picking up right where we left off: the death of Eric Carr. 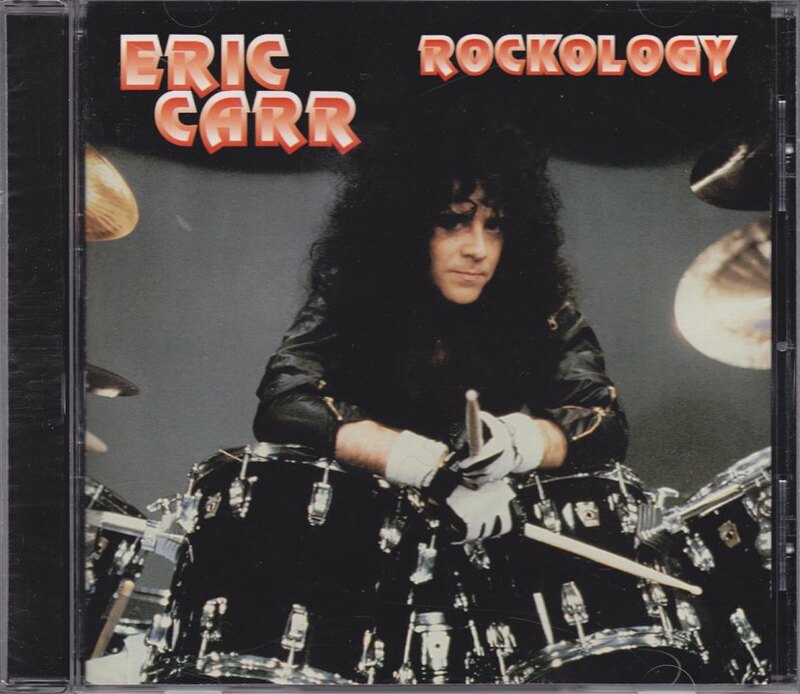 The previous chapter of this series was posted November 8 2017, with the intention to talk about Eric Carr’s demos next, before moving on to his replacement. 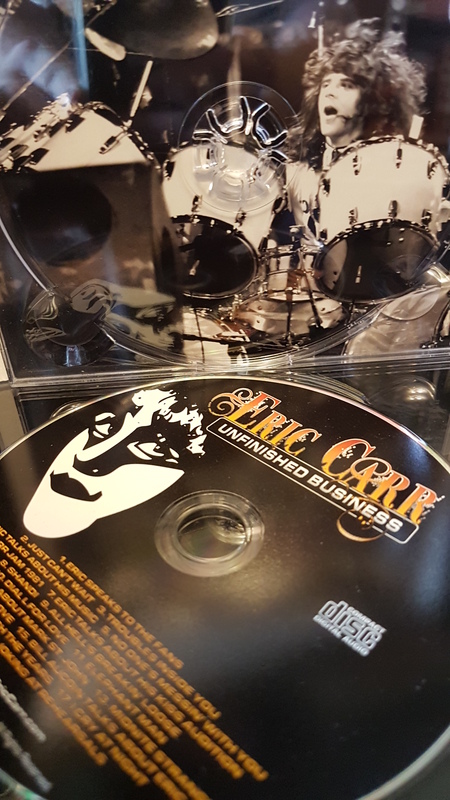 When Eric died of cancer in 1991, he left behind several tapes of unreleased material that have since been issued on CD. Likewise, the Kiss Re-Review Series was derailed by Mrs. LeBrain’s cancer diagnosis, but will carry on now that she is well. Thank you for your patience! The late drummer Eric Carr was frustrated towards the end. He was writing good material, but it was always being rejected by Paul and Gene. In the press, Eric would tow the company line and explain that everybody else had such good songs, that there was no room for his. In his heart, he was hurt and felt shunned. 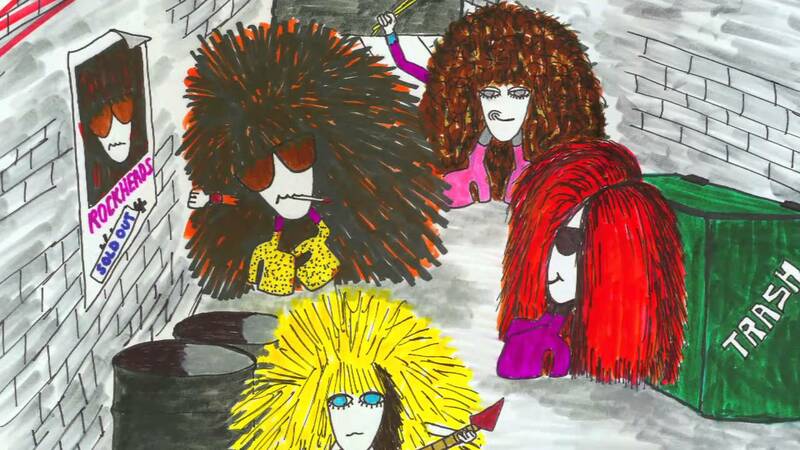 Eric Carr wasn’t just a drummer. He could sing lead, and he could write. 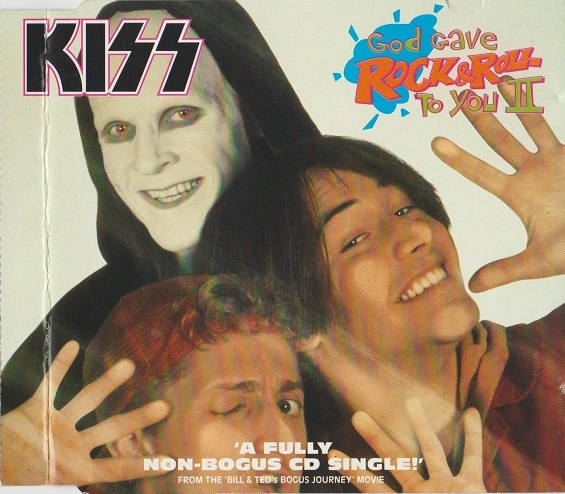 Kiss’ single “All Hell’s Breaking Loose” was an Eric idea. He co-wrote “Don’t Leave Me Lonely” with Bryan Adams. Although his writing credits on Kiss albums were sparse, he had plenty of material in the can. 2000’s Rockology is a series of those demos, some in a near-finished state and some left incomplete. Much of this material was intended for a cartoon Eric was working on called The Rockheads. 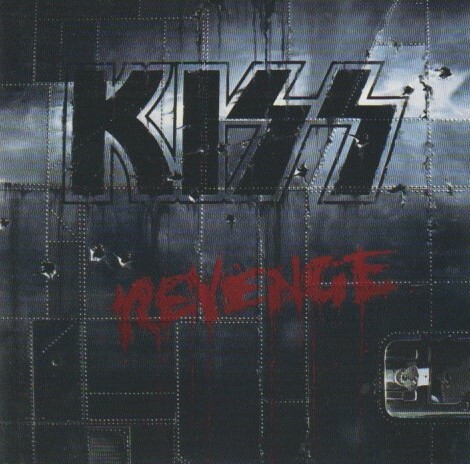 10 years later, Bruce Kulick finished recording some guitar parts and mixed it for release. 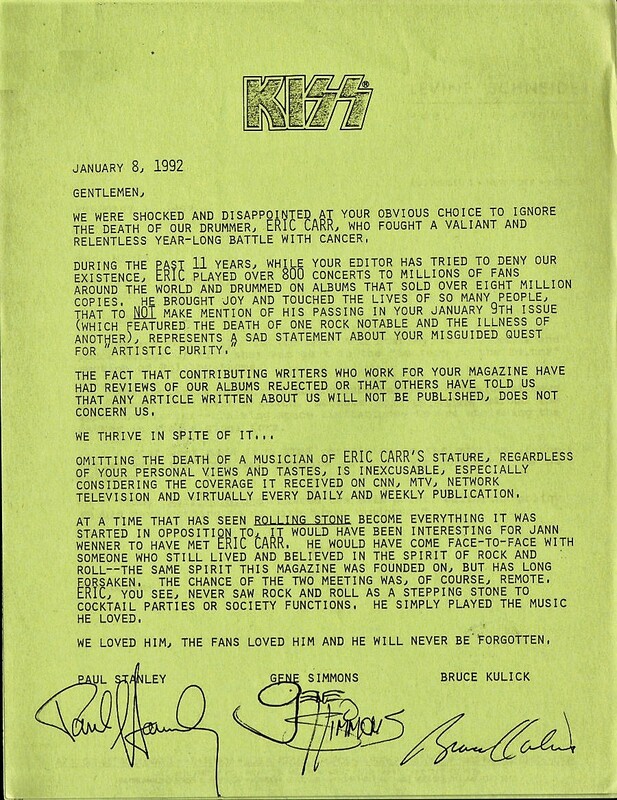 He also wrote liner notes explaining the origins and Eric’s intentions for each track. Eric didn’t have a particularly commercial voice, falling somewhere south of a Gene Simmons growl. There’s no reason why Gene couldn’t have sung “Eyes of Love” from 1989, which has more balls than a lot of Hot in the Shade. 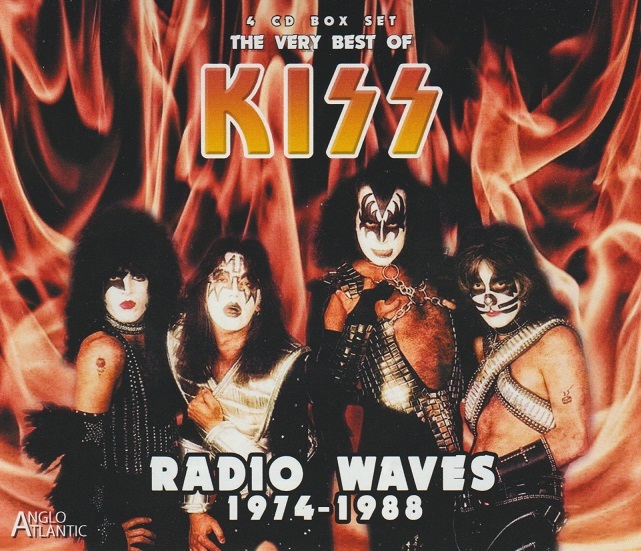 This demo has Eric on drums and bass, and Bruce Kulick on guitar with a solo overdubbed in 1999. It doesn’t sound like a finished Kiss song, but it could have been tightened up to become one. Same with the ballad “Everybody’s Waiting”. It sounds custom written for Paul Stanley. But it was 1989, and nothing was going to displace “Forever” from the album, nor should it have. Many of the demos have no words. 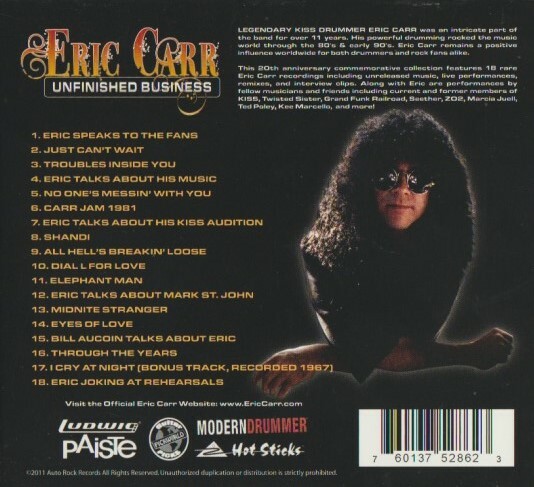 “Heavy Metal Baby” features Eric scatting out a loose melody. This heavy and chunky riff would have been perfect for the later Revenge album, had Eric lived. In a strange twist, several of the best songs are instrumentals. The hidden gem on this CD is the unfinished “Just Can’t Wait”. It could have given Journey and Bon Jovi a run for their money. Eric, Bruce and Adam Mitchell wrote it for Crazy Nights, and you can almost hear a killer chorus just waiting to leap out at you. This potential hit could have been the best song on Crazy Nights, had it been finished. “Mad Dog” has nothing to do with the Anvil song of the same name. The chorus is there but the verses are a work in progress. This hard rocker from 1987 was probably too heavy for what Kiss were doing, though it would have added some much needed groove. “You Make Me Crazy” is in a similar state of completion and boasts a tap-tastic solo by Bruce. Apparently this demo was originally called “Van Halen” and you can hear why. Two versions of a song called “Nightmare” exist, including a really rough one without drums. This incomplete song could have really been something special. It has a dramatic feel and different moods, and was probably too sophisticated for Kiss, though any number of 80s rock bands would have been lucky to have such good material. The last batch of tracks show off the Rockheads material. Whether Eric’s cartoon idea ever would have happened or not, the advent of bobble-heads and Pops would have made marketing easy. The songs are virtually complete though the drums are programmed. “Too Cool For School” is a little cartoony, which is the point, right? For keyboard ballads, “Tiara” showed promise. It’s not the equal of “Reason to Live” but it demonstrates a side to Eric unheard before. Next, Bruce says that they always wanted Bryan Adams to cover “Do You Feel It”. It would have fit Adams like a nice jean jacket. Not that Adams really needed the help, it would have been awesome on Waking Up the Neighbors. The set closes with “Nasty Boys”, nothing exceptional. It sounds like a song called “Nasty Boys” would sound…or anything by 80s Kiss really. Before you spend your hard-earned dollars, remember that these songs are definitely unfinished. They are as polished as possible given some of their rough (cassette) origins. Eric’s talent still shines, but you have to be a fan. Especially a fan of 80s Kiss. They will find it to be a crucial companion piece to their collections. A good buddy of mine has three kids. He will often play them music via Youtube, and they have been enjoying classic Kiss lately. In fact about a year ago, I myself was trying to teach them the correct words to “Shout it Out Loud”, for which they were singing their own variation. Smart kid. Just a child and already knows “new” Kiss from “old” Kiss. Kiss took the unusual step of waiting six months before going out on tour to support Hot in the Shade. Bands were having trouble selling out arenas. In the meantime they released singles and videos. “Hide Your Heart” came first in October of 1989. It did alright; for fans the best part of “Hide Your Heart” was seeing Paul Stanley playing guitar again in the music video. 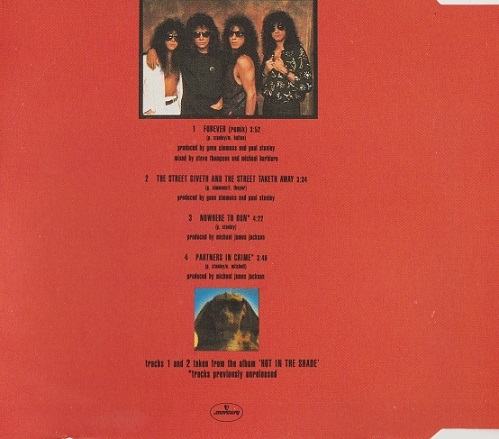 The CD single was nothing special; just the Paul Stanley A-side, backed by two Gene Simmons B-sides, as had become the norm. 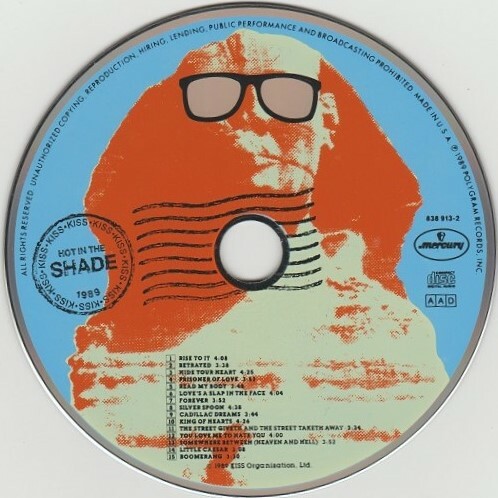 “Betrayed” and “Boomerang” were among the better Simmons tracks to chose from Hot in the Shade. In January of the new year, they dropped what they hoped to be the big single, “Forever”. The excellent music video was an MTV hit, going to #1, while the single went to #8 on the U.S. Billboard Hot 100. One reason the video was so well received is that it was a rare back-to-basics look at the band. It was just four guys playing together in a room. No girls, no gimmicks, no dancing. 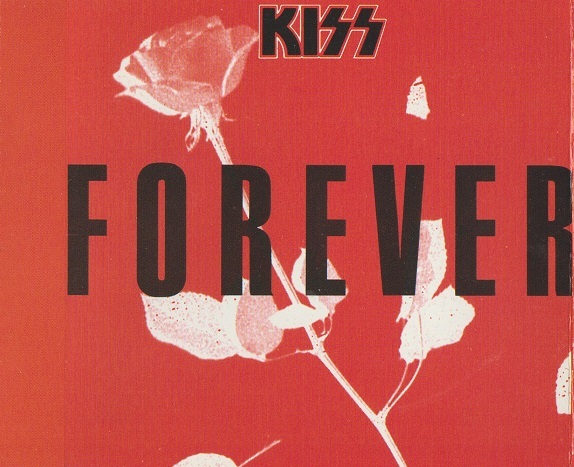 Featuring exceptional performances by Eric Carr and Bruce Kulick, “Forever” was one of those rare ballads with integrity. Having Bruce’s old Blackjack buddy, Michael Bolton, in the writing credits didn’t hurt. Ace Frehley wasn’t impressed though. In the July 1990 issue of Guitar for the Practising Musician, he dismissed it as pop. He wasn’t wrong, but that doesn’t make “Forever” bad. The single for “Forever” received a wider release on all three major formats (CD, vinyl and tape), and was expanded to EP length with four tracks. 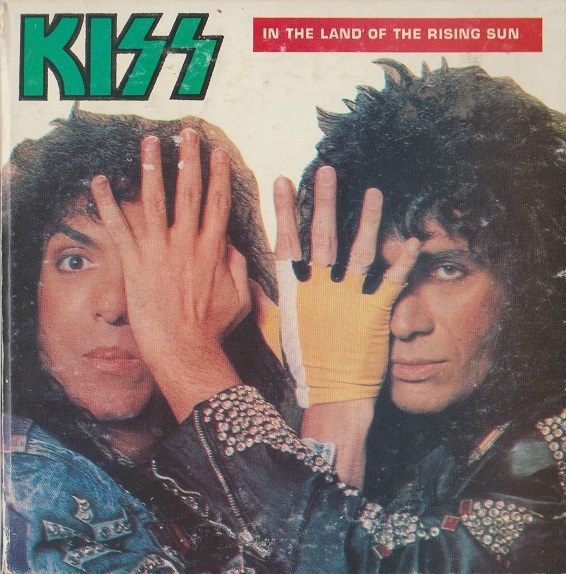 It also received something very rare for Kiss: a single exclusive remix, by Steve Thompson and Michael Barbiero. It has some difference in levels and echo. However, every CD copy of this single has a flaw, a skip at 1:40 that shouldn’t be there. It’s not even a damaged CD; if you look at the track times, the single version is encoded few seconds shorter. In other words a faulty master was used on every CD single. You won’t find one without the skip. Vinyl and cassette don’t have the flaw. Fortunately this oversight was fixed when Kiss released their box set a decade later. The correct remixed single version without flaw was remastered and included in the set. The included B-sides are an interesting mix. From the Hot in the Shade album, there’s the Gene Simmons throwaway “The Street Giveth and the Street Taketh Away”. The other two are, strangely, two of Paul’s “new” tracks from Kiss Killers. The logic here was the Kiss Killers was (and still is) unreleased in North America. At least this gave us an easy way to get the amazing “Nowhere to Run” on CD. Too bad about that flaw on the CD version. Otherwise this isn’t a bad little single. In the 1980s, there were generally no Kiss books on the market. If you found one, you bought it. The only widely known Kiss book back then was 1978’s paperback Kiss by Robert Duncan. I was lucky to find Kiss Still On Fire in Stratford Ontario on December 27, 1990 in a great little store called The Book Vault. Still On Fire is very very unofficial, but it was unequalled in its time: 130 magazine sized pages, mostly in full colour, loaded with pictures, facts and a few errors. Peppered with old interviews and article snippets, Still On Fire takes a balanced look at the band and isn’t afraid to get critical when it’s warranted. It also attempts to take a crack at who played what on some of those tracks where it wasn’t quite clear. 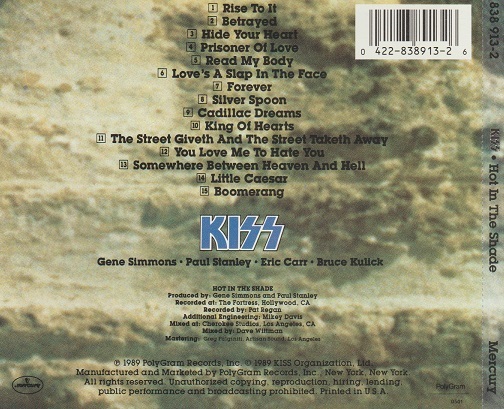 For example, Ace Frehley is pictured on the front cover of Killers, but didn’t play on any of the new songs. Still On Fire quotes a Paul Stanley interview. Was it Bob Kulick playing lead on these tracks? “Bob did come out, yes, but he didn’t play. When I couldn’t handle things — and I don’t consider myself the ultimate lead player — another friend of ours came in and gave us a little help.” The book states this friend was Robbin Crosby of Ratt, a claim that is not backed up in other sources. Did Crosby play on Killers? Who knows, but according to this book, he did. Other books such as Julian Gill’s Kiss Album Focus claim Bob Kulick did play some on Killers. In other words, if you read something interesting in this book that contradicts what you’ve read elsewhere, take it with a grain of salt. There’s a bit of content here about what Gene was doing in the 1980s outside of Kiss: producing bands such as Black & Blue and EZO. Gene was responsible for EZO’s fantastic single “Flashback Heart Attack”, co-written by James Christian of Simmons Record act House of Lords. Gene was also working on movies but was having trouble finding the time. Apparently Sergio Leone really wanted Gene Simmons for Once Upon a Time in America in the role of Max, ultimately played by James Woods. Can you imagine? Still On Fire isn’t definitive nor is it definitely 100% accurate, but it should still prove to be a valuable resource for your Kiss library. At last, we are at the end of the Crazy Nights era. Radio broadcasts are the next best thing to a bootleg. Actually, strike that. Radio broadcast CDs are often better than bootlegs. The audio is usually decent because it’s a professionally recorded broadcast. They are almost always cheaper than an equivalent bootleg CD too. Broadcast discs are easily found on various Amazon sites and all over Ebay. Thanks to their abundance, sometimes you can even choose from multiple releases of the same concerts. One such show is Kiss’ 1988 performance at the Ritz in New York in 1988. It’s a tight, hot Crazy Nights recording, but there are pros and cons to the different releases. There was a 2013 Gold Fish release of the Ritz concert, called The Ritz on Fire, reviewed here. Fans immediately noted that “Reason to Live” was missing, although others had “Reason to Live” on different releases. In fact The Ritz on Fire is missing two songs: “Bang Bang You” is the other. Disc 1: Agora Ballroom, Cleveland, April 1 1974. We reviewed a better version of this show with bonus tracks from ABC In Concert and the Mike Douglas Show. Discs 2 & 3: Animalize Live Uncensored 1985. Missing some of the stage raps, but including all the songs from the original VHS release. Disc 4: The Ritz NYC 1988. All the songs, but missing some of the stage raps. Nothing’s perfect. These broadcasts are quirky that way. You can buy Radio Waves 1974-1988 to get all the songs from the Ritz show, but not all of Paul’s stage raps. You could, of course, compile the best of the two versions together into one custom complete concert. The sound quality is virtually the same. What about an official release? 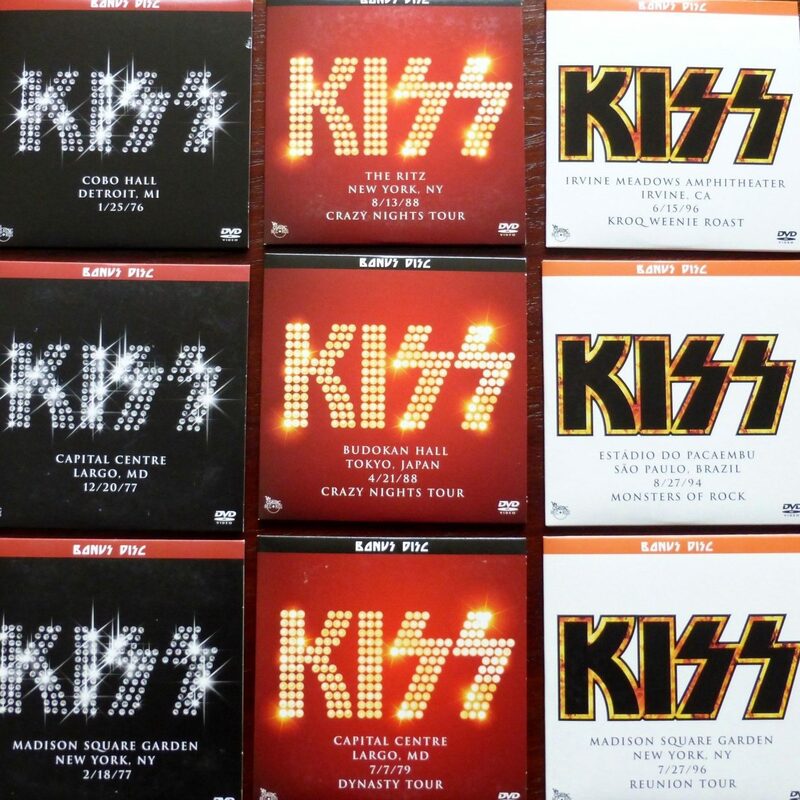 The only Kiss-produced media of this concert is a rare 11 song bonus DVD that came with Kissology Vol. 2, but only at US Best Buy. Regardless of which version you buy, this concert has a good reputation with fans and it is easy to hear why. 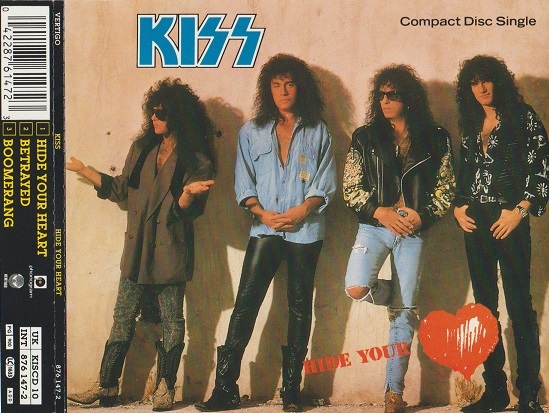 Eric Carr and Bruce Kulick rose to the challenge and gave a Kiss a hard, professional sheen. Meanwhile, behind the curtain stood Gary Corbett, thickening up the sound with additional keyboards and backing vocals. Paul Stanley was in his prime, hitting notes only dogs could hear. Meanwhile Gene Simmons was present in body if not spirit. Notably, “Shout it Out Loud” was performed at the Ritz, making it a rare 80s appearance of that song. “Dr. Love” was also something of a rarity at the time. Choose according to your own preferences, but don’t be afraid to pick up some version of Kiss at the Ritz. 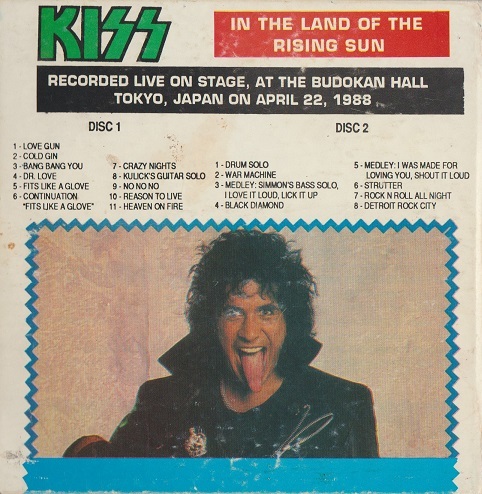 If you are in the mood for some live Kiss from the late 80s, then your journey might just come to an end here: Kiss at the Budokan, Tokyo Japan, April 22 1988. It’s not the last live Kiss from 1988 that we’ll examine, but it’s decent. This 2 CD set boasts a more extensive track selection than Monsters of Rock, recorded in Germany in August. It’s an audience recording, but above average quality. It sounds like it is sourced from a previous vinyl generation. In Germany, Kiss opened with “Deuce”, but in Japan, they didn’t even play it. Instead they opened with “Love Gun”, chased immediately with some “Cold Gin”. 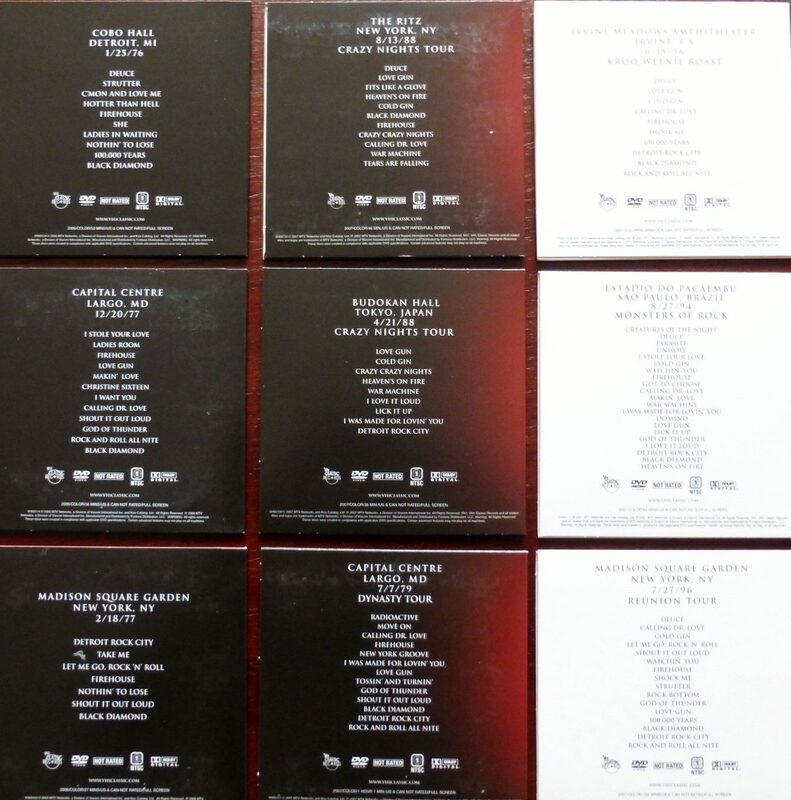 Therefore, it’s cool to have a couple bootlegs from this tour, to get a broader range of songs. Japan also heard “Bang Bang You” from Crazy Nights. Not a highlight to be sure, but a rarity that Kiss fans will want in their bootleg collection. In a strange twist, “Fits Like a Glove” is split into two tracks, just like it was on the Germany CD, made by a completely different company. Bruce Kulick’s solo before “No No No” is much longer, leading us to think that the solo on the Germany CD was edited for length. This is the one to check out, to hear what kind of solo Bruce was playing in 1988. Kulick is continuously impressive. He always does justice to the original Ace Frehley (or Vinnie Vincent) ideas, but by playing his own solos with the right feel. His technique is all but flawless. This disc also has the Eric Carr drum solo and Gene’s bass solo intro to “I Love it Loud”. There are plenty of tunes here that either weren’t played in Germany or just weren’t on that CD: “Bang Bang You” (see above), “Calling Dr. Love”, “Reason to Live”, “War Machine”, “Lick It Up”, “I Was Made For Lovin’ You”, “Shout it Out Loud”, and “Strutter”. “I Was Made For Lovin’ You” hadn’t been played live since 1980. Almost every bootleg CD I own has some amusing mistake or quirk that I enjoy picking out. This has a couple. The label can’t decide if it’s named “Big Boy” (inner sleeve) or “Big Apple” (disc itself). There are three “producers” and two “engineers” credited, for a bootleg CD. I guess Eddie Kramer wasn’t available. 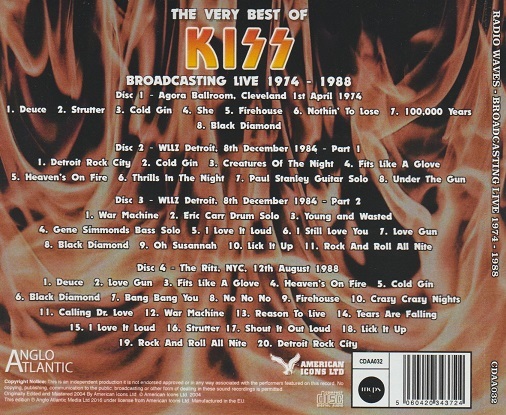 Kiss is credited on the disc as — not Kiss! 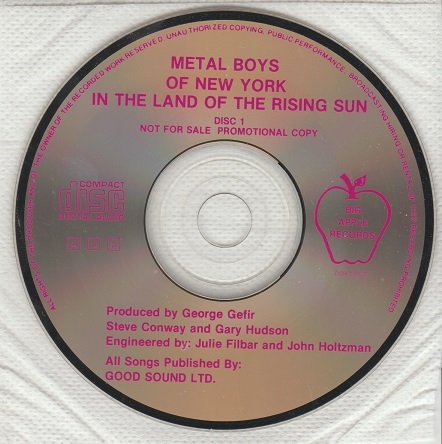 — as the “Metal Boys of New York”! 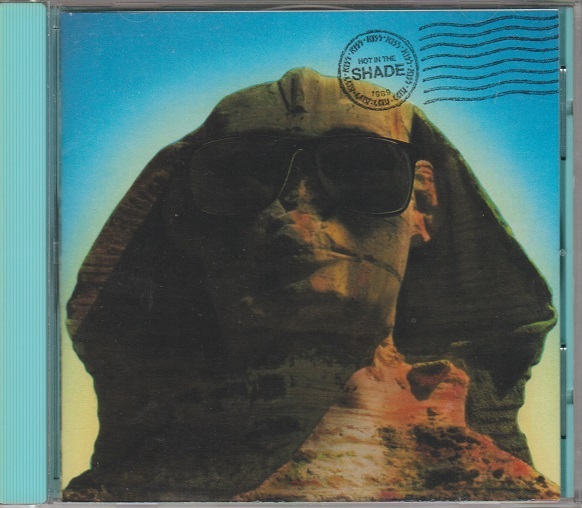 Finally, in order to appear that nobody was making money off Kiss’ back, it is claimed on the CD that this “promotional copy” is “not for sale”. Don’t let that deter you. Buy it if you find it.